Jose Mourinho's career stands at the crossroads after his sacking by Manchester United. The 56-year old coach was dismissed from his role at the club after a string of poor results. The tactical maestro has always been known for his exceptional ability to win laurels, irrespective of the club he has been in charge of. In 2000, Mourinho got the first taste of managership in Portuguese top-tier where he replaced Jupp Heynckes as the first-team coach of Benfica. His stint at Benfica was short-lived. Jose then found a new club in União de Leiria; his success at the club saw him catch the attention of bigger Portuguese clubs. In 2002, Mourinho took charge of FC Porto, and he completely transformed the Portuguese club in a strategic and tactical masterclass. His time at Porto was full of success and trophies. The club won two consecutive league titles (02-03 and 03-04) and the UEFA Champions League (03-04). By then Mourinho had already become a familiar face in the footballing world, and all the top European clubs were after him. Jose's next destination was London at Chelsea Football Club. At that time, Chelsea was a new project with a lot of investment from Roman Abramovich, a Russian-Israeli billionaire businessman. Backed by a hefty budget, Mourinho bought many big players to the club, which saw Chelsea winning their first top-flight title in 50 years. Under him, Chelsea broke many English football records; achieving the most points in the Premier League (95) and conceding the fewest goals (15) in a single season. After a fruitful three-year spell at Chelsea, Mourinho took charge of Italian giants - FC Internazionale (or Inter Milan). In his first season at Inter, he won the Supercoppa Italiana and Serie A. But it was his second season (09-10) at the club that turned out to be the best in Inter's history, where they became the first Italian club to do the treble, and in doing so, the Portuguese added another Champions League title to his illustrious trophy cabinet. With his top-class managership on display with different clubs in multiple leagues across Europe, Mourinho had become the best manager in the world. After all his successes, there was only one stop where Jose was headed to; the biggest club in Europe, Real Madrid. The Spanish giants acquired the services of Portuguese in May 2010, on a four-year deal. Prior to Mourinho's arrival at the club, Real Madrid had underperformed despite having Galacticos such as Cristiano Ronaldo and Kaka in their ranks. After coming to the club, he turned the fortunes by leading the club to their first Copa del Rey in 18 years. His second season at the club saw them winning La Liga with record-breaking stats, nine points clear of runners-up Barcelona. Records set were as follows: Most games won in a La Liga season (32), most away wins (16), most goals scored (121) and the highest goal difference (+89). Later in the summer, Real Madrid won Supercopa de España, this meant Mourinho had won every possible domestic title in the Spanish top-division. In doing so, he became the only manager in the world to have won the super-cups in four different European countries. His third season at the club proved to be full of disappointment, and no wonder he was asked to leave, with club president Pérez stating that the decision was "mutually agreed" upon. After his sacking at Real Madrid, Mourinho was heavily linked with Manchester United who were struggling at the time. But there was a fairy-tale comeback written somewhere on the cards, and in June 2013 Mourinho re-signed for Chelsea. He had very little luck in first comeback season at Stamford Bridge, with Chelsea finishing trophyless. In the second season, he turned it around, which saw the London team winning the Premier League and the League cup title. The third season, which has always been 'year of sacking' for Mourinho, didn't turn out any different, The Blues started off the season poorly, picking up a mere 11 points in first 12 games in the league. His next and the most recent assignment was at England's most historical club, Manchester United. Mourinho spent heavily during his time in Manchester, with the club securing signings of Paul Pogba, Alexis Sanchez, Romelu Lukaku and many others. The 'Special One' won his first trophy with the club within months of his appointment, when he defeated Leicester City in the FA Community Shield. Later in the season, the Red Devils won UEFA Europa League and EFL Cup final. In his second season, the club finished second behind their arch-rivals Manchester City and lost the FA Cup final to Mourinho's former club, Chelsea. Then came the 'haunted' third season for Mourinho. The Manchester team had their poorest start in league history. And when you are losing the battle, nothing goes your way, same was the case at Old Trafford. As per the reports in media, Mourinho reportedly fell out with French World Cup winner, Paul Pogba. Pogba's on and off the pitch behaviour, commitment, and social media-centric lifestyle were few of the things which certainly didn't amuse the Portuguese. 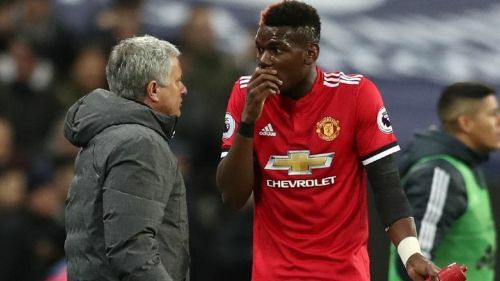 Following United's 2-2 draw against Southampton, in a post-match interview, Mourinho openly criticized Pogba in front of the Manchester United squad and questioned midfielder's commitment to the team. Surrounded by controversies and bust-up with players and with just seven wins in first 17 Premier League games, leaving the Reds 19 points behind the table leaders, Mourinho was finally sacked by the club a week before Christmas. Where has it gone wrong for Mourinho? Is he a man out of his time? Throughout his managerial career, a similar pattern was observed. Mourinho's second season turned out to be the most successful one while his third season panned out to be the worst. A closer insight insinuates that all things didn't turn up well in the third season. The bond between the players and with manager started to loosen up as the season progressed, the tension in the air rose, and both parties found it hard to bring things back to where they were. This situation led the coach into several pitfassl and hindered him from attaining glory in the subsequent seasons. After the first spell at Chelsea, Mourinho has been known for adopting the 'park the bus' strategy against strong opponents. This strategy is a very conservative and defend-minded tactic where a team fields a line of defenders and allows the opposition to take control and possession of the game. Most times, this strategy has worked out well for Mourinho, but in recent times it has failed to give him success. This so-called 'negative' strategy by pundits has raised several questions over Jose's calibre and his diminishing ability. Mourinho has had a history of feuds with media. He once claimed that the media treats him differently compared to his rival managers. Not only the media, but also the managers like Antonio Conte, Wenger, Rafael Benitez have had heated moments with Mourinho in the past. The game is evolving season after season and year after year, at a rapid pace. There are managers who have adapted to the change with their own style and flair. Pep Guardiola at City has opted for a possession-based game, Jurgen Kloop at Liverpool has gone with counter-attacking game-play, while someone like Diego Simeone has shown a defence-oriented game. But there is one thing common with all, they all have found out a way to succeed by adapting to the challenges. Mourinho though has obstinately stuck to his own philosophy, which sounds obvious, because the man has had so much success in the past so much so that he doesn't see a necessity to alter the style that has brought him to where he is. What's next for the Portuguese manager? Following his recent results, his job prospects looks poor in the United Kingdom. While he's still looking for his next managerial job, Jose never seems to be out of action. He was spotted with beIN and ESPN sports doing punditry, openly questioning and criticizing fellow Premier league managers and also the fans for having a negative opinion of him. Despite his ill-fated spell at Old Trafford, his stock remains high. There have been speculations which suggest his old clubs - Inter and Chelsea have shown interest in acquiring his services. 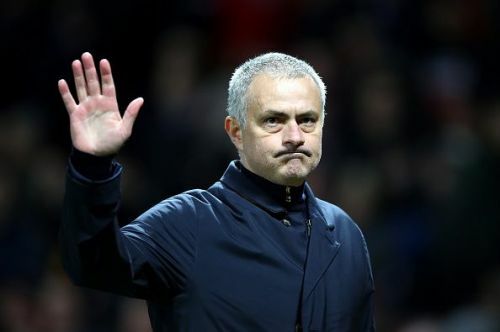 As per reports in Portugal, the Portuguese Football Federation (PFF) wants Mourinho to take over as the national team's coach with Euro 2020 not too far away. Chinese clubs are also looking to secure Mourinho's signature, with reports of mouth-watering offers coming from the east. All in all,, we can conclude that football has never seen a manager as successful as Mourinho - who won 25 trophies at eight clubs and has a win percentage of 65% with over 900 matches in charge. Not bad, right? Over recent developments in football, one thing is for taken that Mourinho needs to adapt and adapt quickly, his anachronistic style and tactics requires revamp and mold. But whatever the Portuguese comes up with will be efficient if not pretty, and he will continue to epitomize the 'never say die' attitude. There is a popular cliche which befits with the above - 'Form is temporary, class is permanent'. We all know the man is a fighter who will fight, drag and claw through and through till he finds a way back to the top. 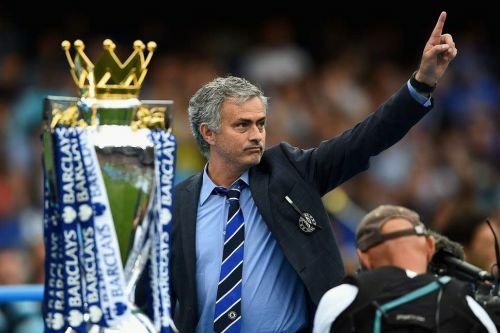 'The Special One' is NOT yet Done.